KFD nut balls are great proposition for those who likes healthy sweets without added sugar. 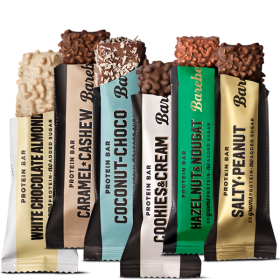 Enriched with whey protein concentrate and isolate, they are a nice snack for all lovers of health-conscious sweets. Contains a sweetener. Ingestion in excessive amounts may have a laxative effect.